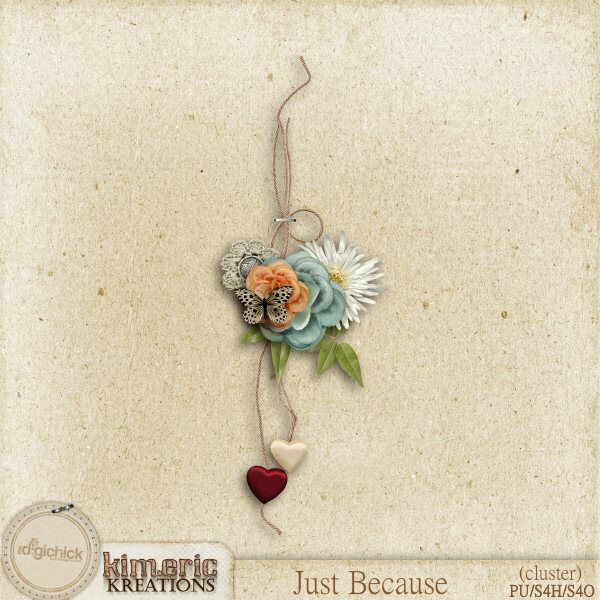 Here we go - - cluster time :) Anita made some beautiful pieces to share with you using my new release "Just Because", on sale now thru Sunday at midnight for 30% off. Enjoy!! Isn't that beautiful? The image is linked to your direct download. What a beautiful cluster! Thanks for sharing! Your work is delightful and you are very generous to share these goodies with us! I love it! Thank you so much for the gifties!! thank you! I love the hanging hearts. Love the hanging hearts! Thank you so much!! !